Prepare for an experience of olfactory bliss! We have tons of mint growing in our garden, so I finally got around to researching a more adventurous culinary use of this fragrant herb. What I found was a suggestion for this sweet mint pesto that is simple to make and absolutely divine when paired with chocolate. 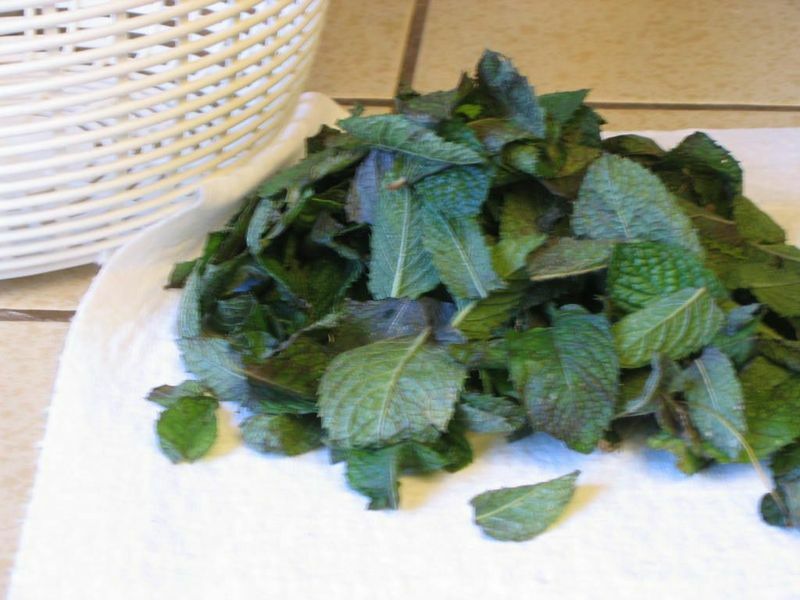 If you love mint like I do, you will stay awake nights trying to figure out new uses for this concoction. 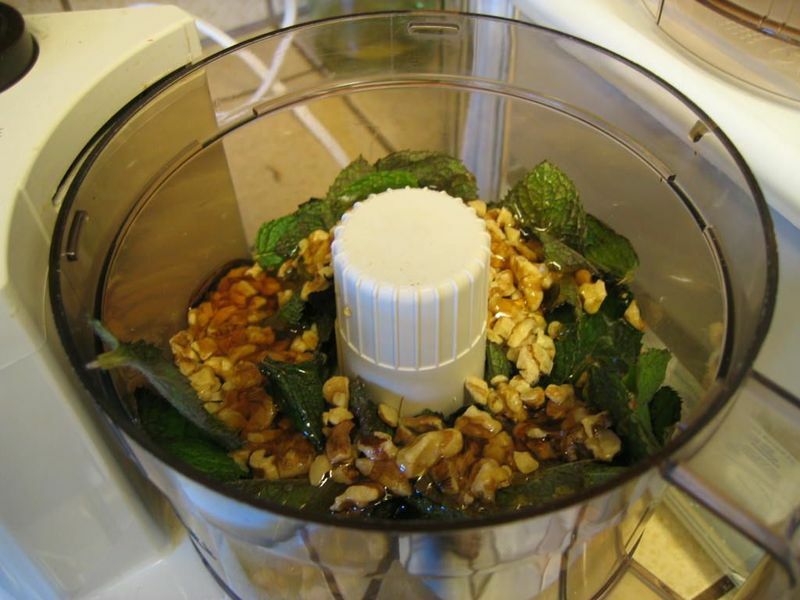 In a food processor, briefly chop the nuts. Then add all other ingredients and pulse into a smooth paste. Store in an airtight container and refrigerate for up to a month. What to do with this pesto? Use it as a paste between chocolate cookies, or stir it into your favorite brownie mix. You could also blend it with a favorite ice cream. It would also be lovely stirred into a chocolate sauce or frosting for cakes or cookies. If you have other suggestions, please leave a comment! Use phyllo dough, cut into circles using an entremet ring (1-inch or 1.25-inch ring). Butter between each sheet, about 10 or so sheets total, cut your circles, top with parchment and another sheet pan. Bake to golden brown. 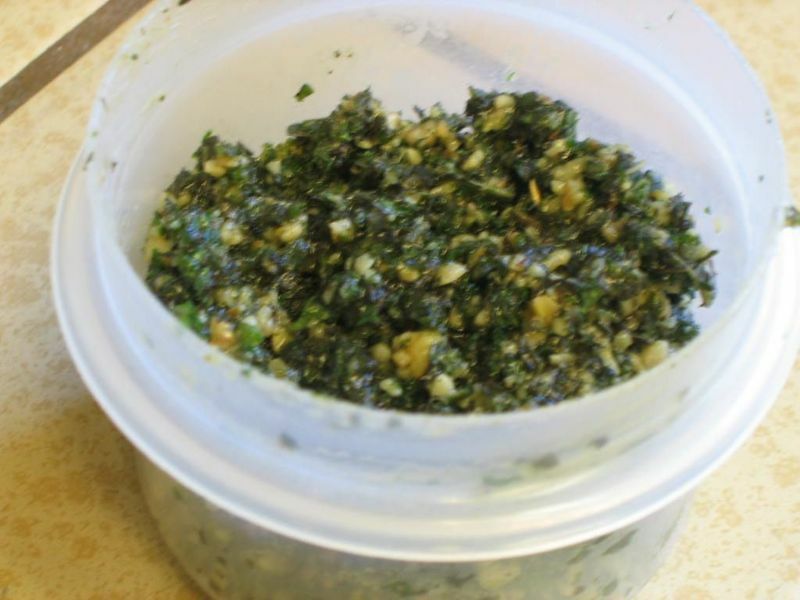 Make your pesto and spread a nice layer on a circle, top with another circle. Put three on a plate and lightly drizzle with a vanilla sauce. Garnish with shaved dark chocolate. I'll have to try it out. Thanks for the "sweet mint" idea!